With its focus on breath control, meditation, and body movements, yoga is an important practice for health, relaxation, and well-being. Yoga calms the mind, allows the practitioner to center and let go of daily stresses, and stretches and moves the body in ways that encourage fitness and overall well-being. With a variety of yoga practices, it doesn’t matter if you’re a beginner or advanced, the Sadhna Center has something to offer. A practice aimed at physical and mental wellness, yoga originated in India with roots that date back to the fifth and sixth centuries BCE. Originally used to hone focus and enrich meditation, yoga has since transitioned into a popular Western alternative for physical fitness, with classes in virtually every variety offered across the United States. Low impact with strength-training qualities, yoga can be practiced by virtually anyone, anywhere, at any time. Boasting amazing health benefits, both mental and physical, practitioners of yoga are able to improve both physical fitness and quality of life. As a form of exercise, yoga can be extremely beneficial, helping you build strength in your core, arms, glutes, back, and legs. In addition, yoga can also improve balance, posture, and flexibility, allowing you to walk taller and stand straighter. Yoga utilizes your body weight, pushing you through a series of poses that test the ways in which your body can move. Some poses, like Warrior I, are very simplistic and easy for practitioners at all levels, while others, like Crow, may take months of practice to accomplish. Yoga is a low-impact exercise, making it perfect for the elderly, those trying to lose weight, individuals overcoming injuries, and anyone with joint pain or a limited range of movement. Poses can be adapted to physical ability, allowing anyone interested to learn and grow through yoga. In addition to physical effects seen in the body, yoga holds many advantages for the mind as well. A big part of successful yoga practice involves meditative breathing and stress management, helping you let go of the worries in your life, relax your body and mind, and take a more positive outlook on the little things. Regular yoga practice can offer many benefits to your state of mind, allowing you to incorporate the breathing and stress-relieving activities learned in yoga to your daily life. Through yoga, practitioners can learn a new level of calmness and inner peace, improving your life from the inside out. 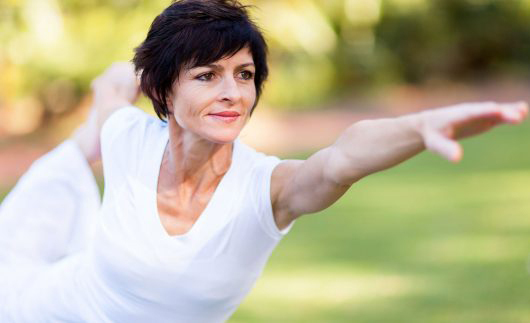 As a physical pursuit that focuses on transitioning between a series of moves, yoga is perfect for individuals of all ages and fitness levels. Even if you’ve fallen away from regular exercise, yoga is easy to learn and possible to master for those of all shapes and sizes, offering a perfect opportunity to strengthen both the mind and the body. What are you waiting for? Contact Sadhna Art of Wellness today at 516-544-8899 to see how the restorative power of yoga can drastically improve your life. The teaching of Chan is ancient and mysterious, it has a special way to teach people to open their minds and understand their lives, and for ages to come, it will give people concepts and experiences that are hard to grasp and are out of the ordinary. Larice Zuber, L.M.T (Licensed Massage Therapist) is a graduate of New York College of Health Professions. She Brings Nine years of experience into her practice. Her approach offers unique individualized treatments that offers a balance of pain release, quieting the mind, and guided body awareness. Larice has advanced skills and the ability to customize each modality to suite your needs in Swedish, Reflexology, Deep Tissue, Hot Stone, and Prenatal Massage, and Raindrop therapy. While on a quest to learn new modalities in 2014 Larice discovered a modality that combines massage, energy work, and stretches. She became certified in Thai massage. This modality can be incorporated into her massage treatments. Relax the entire body. This is accomplished with long sliding strokes in the direction of blood returning to the heart. Swedish massage is exceptionally beneficial for increasing the level of oxygen in the blood by increasing circulation, flushing out muscle toxins, and giving you an all over feeling of deep relaxation. A therapeutic massage designed to address chronic muscle tention, relieve painful sore and tight muscles. Improves joint mobility, Includes gentle stretching and myofascia trigger point therapy. An enjoyable massage that specifically targets areas of discomfort to provide relief to the neck, lower back, and hips, as well as as alleviate swollen ankles and tired legs in a supported and comfortable side-laying position. Hot stone massage is a form of massage therapy that follows the same principles of swedish massage with the addition of the heated stones, which help lead to deep relaxation and peace. The penetrating effects of the heated stones allows the deep tissue effect without excessive pressure. Good to targeted areas and all over relaxation as well. Reflexology massage can be deeply relaxing and therapeutic. Reflexology has been know to improve as a whole body experience. Foot massage is relaxing and de-stressing. With Native American wellness traditions raindrop provides a revolutionary means of aligning the body and mind. Combining the science of Vita Flex, Reflexology massage, in the application of essential oils, applied on the spine of the feet and the spine of your back. The essential oils ward off viruses, supports the immune system. Relaxes the body into a healthier feeling of well being. A 30 minute massage with focus on tension,aches, and pains Relax and release your stress while we focus one area of your choice. Signature massage is a combination of all the treatments rolled into one. Swedish, deep tissue, aromatherapy, and hot stone…No more having to choose when you have them all. Having anxiety problems? Experiencing constant headaches due to stress? Massage therapies in Jericho, New York help alleviate these problems, as well as soothe tense muscles, ease digestive problems, and address insomnia. Sadhna Wellness Center detects, prevents, and treats health issues that come with age or stress. We are the first facility of its kind, and we seamlessly combine clinical and holistic methods to deal with an array of stress and aging-related problems. Consider us your one-stop shop of treatments for your mind and body’s total well-being. Allow the combination of modern medicine and the ancient philosophy of Sadhna in our various massage treatments to help you achieve optimal wellness. Experience a healthier mind and body with us. Call us at 516-544-8899 now or book an appointment online!